If you have a terrible memory, then you need to install one of these top ten best crossword solver apps for Android. Why? Because it’s been scientifically proven that these types of word games help keep your mind in shape. As they say, your mind is a muscle, and you need to work it out. So what could be a better reason to download and install a good crossword solver app or crossword tracker app for Android? All of the crossword solver apps on the list are free and will surely keep you busy for hours on end. 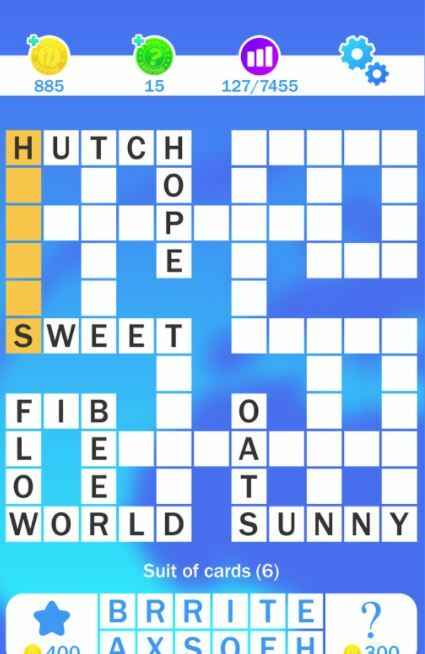 The good news is that you’ll have various crossword apps to choose from and might even save a few on your phone. Puzzle solving is an art and if you want to master the art of puzzle solving, you need to practice it. Thankfully, with the availability of various crossword puzzle solver apps for Android, it’s easier than you think. Simply install any of the below-mentioned crossword solver apps for free and start solving the crossword. If you do it more often, sooner or later you’ll be able to solve crossword quickly. Thus, you’ll finally become a PRO. If you are looking for a good app to help you solve the crossword, below is a list of best crossword solver apps for Android. Get ready to master the art of puzzle solving with these crossword solver and crossword tracker apps for Android. Whoever said that crossword puzzles are boring? The creators of CodyCross had that saying in mind so they could make the crossword solver game for Android as entertaining as possible. The crossword solving game adds all sorts of sounds and graphics you can enjoy while you play. 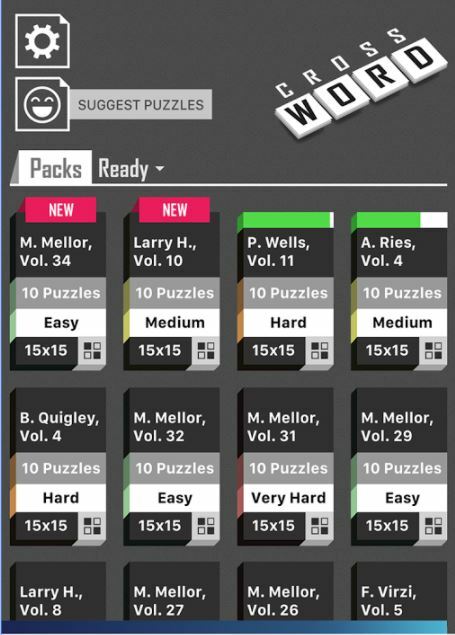 The crossword solver app will also let you choose different difficulty levels, so you’ll have fun playing the game. So, whether you’re a pro or not at crosswords, you’ll be able to find the right difficulty level for crossword puzzle solving. You can choose between easy, medium, hard, and kids & teens. Each difficulty level shows you the topics you’ll be facing. 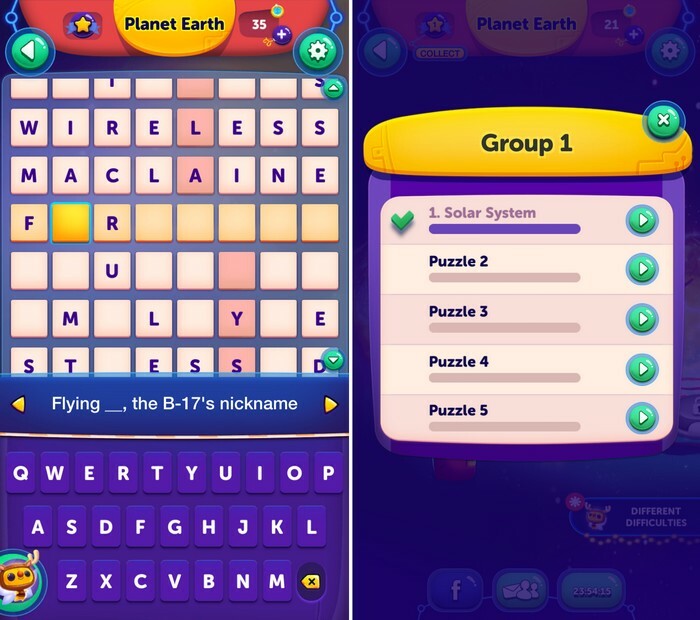 For example, in the easy level, you can play crossword puzzles that deal with shopping, travel, great inventions, weddings, large things, food toppings, South America and more. You can either play the crossword solver game as a type of board game where each level completed allows you to go to the next stage. Each of these themes also has their own levels that range from level one to level twenty. Crossword Cakes takes on a bakery theme to add some style to the crossword world. This crossword solver game is a lot easier to get through than the first one. All you have to do is find the words that are hidden on the icing of the cake and you can move onto the next level. In the beginning, you only have to find a few words but that increases at you level up. Crossword Cake already has some words that it needs you to find, but if you find the hidden words you get extra points. To select the words you find just swipe your finger across the cake and they are automatically added to the list. You can change the type of cake and the tablecloth by going to the settings of the crossword solver app. When you complete a level, you get a new cake as a prize. There is also a Mix option that will mix the letters of the cake for you. That way, you can have an easier time finding those hidden words within the crossword tracker app. 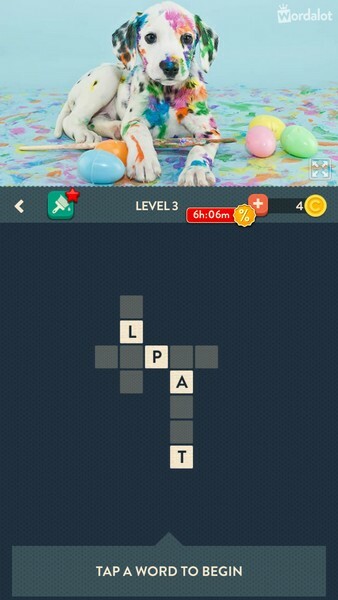 If you just can’t find that one word you need to complete the level, tap on the hint option for some extra help. Crossword Puzzle Free has the same style as the crosswords on the back of your newspaper. Unlike the crossword of the newspaper, this crossword puzzle solver app for Android gives you the help you need. It has an option so it will reveal either the entire word, letter or even the all the words on the crossword puzzle. If you’re determined to finish the crossword without the app revealing anything but needs just a little help, you can always use the search option. It will give you just enough information for you to finish the clue. The only thing I would change is the fact that it will accept a word even if it’s not the right one. To see if you’ve made a mistake, you have to go into the app’s settings and make the crossword solver app reveal your errors. Next crossword solver and tracker app for Android is One Clue Crossword. It is an easy to play crossword tracker app for Android. Even if you’ve never played One Clue Crossword before, you’ll still know what to do. It will give you a guided tour as to how you can play. You have to solve a series of clues but the good thing is that they all fall into the same topic. The crossword solver app also has an end of the chapter test so you can see how good your skills are. You’ll have plenty of playing material since the app offers over 570 levels and 36 chapters of crosswords (more are on the way). The crossword tracker app is available in English, French, Italian, German, and Spanish. Unlike the other crossword solver or crossword solver apps on the list, Wordalot will make you install Google Play Games to use it. This game is very straightforward. 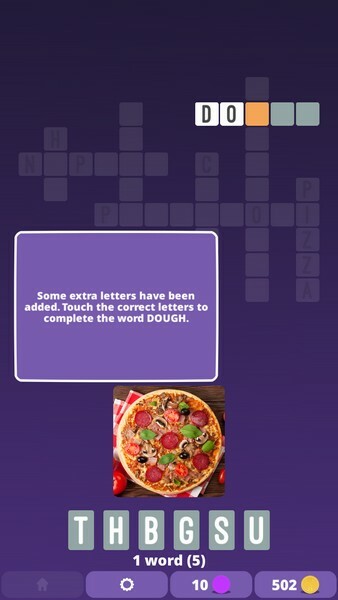 Wordalot – Picture Crossword game is very easy to play but it gets tougher as you progress. With each passing level, you’ll find the game to be more challenging. The words you need to look for are hidden in the images. If you’re not sure what the word is, just look at the image since the answer is staring you in the face. The crossword puzzle solver app gives you coins to start and you can use them to ask for hints when you’re stuck. If you don’t want to use your coins you can also ask your friends. There are as many as 1000 levels in this crossword solver app for Android. If you are looking for a fun and easy puzzle solving app for Android, this is the game you need to play. With the World’s Biggest Crossword app for Android, you’ll have over 350 crossword puzzles to choose from. You can skip from clue to clue by tapping on any square and guess what it is thanks to the clue below. You’ll have over 10k clue to solve in the 461 puzzles the crossword tracker app offers. There are ten achievements for you to unlock in the 57 quests. Add some style to your game with the various background the app has to offer. Ever thought to become a crossword superstar? You can earn a title for crossword superstar if you complete all the challenges within this crossword tracker app for Android. The crossword solver app presents you with three different game modes to choose from. You may choose among Daily Diamond Puzzle, Word’s Tallest Crossword, and the most popular mode – World’s Biggest Crossword. It notifies you with a new crossword challenge every day. Some days, the puzzles are very challenging and I found them very difficult to solve. Crossword app for Android may not have the nicest design but it will sure keep you busy for a while. 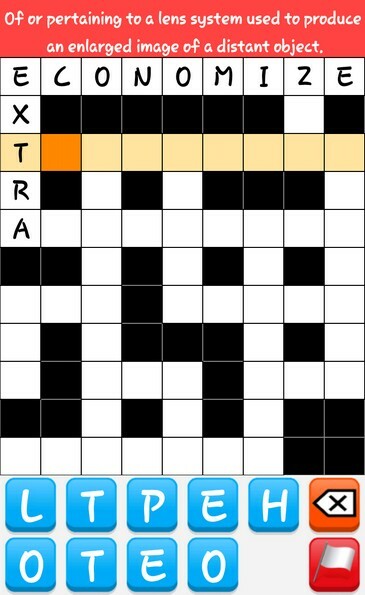 When you first launch this crossword tracker app, you can personalize it so the crossword can look the way you want. When you see the crossword not only will you see the clue at the top but the letters you can use at the bottom. By having these two options, it’s a lot easier to solve the problem. To switch to another clue, simply tap on it. You can choose between three difficulty levels such as easy, medium, and hard. What I love most about this crossword solving app are the customizability options it offers. You can create the crossword layout selecting the number of rows and columns and size of the grid. What’s interesting is that you’ll find yourself improving your vocabulary while playing this crossword solver app. The app developer has also optimized the app design and layout for tablets. So if you are looking for a nice crossword tracker app for your Android tablet, you should definitely give this app a try! Talking about Word Search: Crossword app for Android, you can revive your childhood and think how amazing your childhood was! 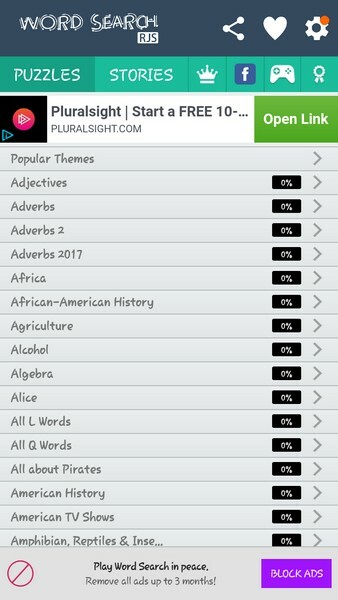 Word Search: Crossword is a little different from the rest of the crossword solver apps for Android. 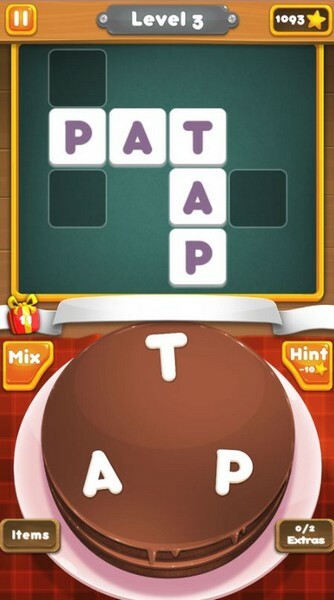 With this game, instead of trying to guess what the answer is, you simply have to look for the words that are at the bottom. Just swipe your finger across the word when you find it and the app will cross it off the list. The crossword puzzle solver game for Android is available in 17 languages, you may choose your preferred language. You can also choose various pencil colors, and it even has a built-in dictionary. Word Search: Crossword is a word search game with word searching puzzle. Though I found it quite easy to find words in the Word Search: Crossword app, you can also count on the hint option, just in case you ever get stuck. 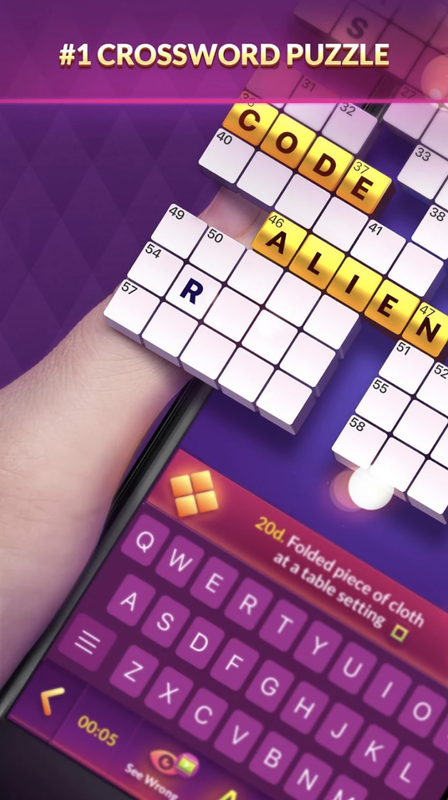 Crosswords with Friends is another very popular crossword tracker game for Android. This crossword solver app will get you started with a guided tour so you know where everything is. You get three 10 letter reveals and a few that reveal the entire word when it’s your first time using the crossword tracker app. There are various themes you can play and to make things interesting you can also challenge your friends. You have to complete the first theme to be able to unlock the others. But, the theme you start with (Movie Makeovers) is very easy and fun to play. If you ever wanted to make your brain workout, this is the crossword tracker app for you. It presents you with a challenging workout for your brain every day. Overall, Crosswords with Friends is a cool crossword solver app for Android with fun and challenging crossword puzzles. Last but not least you have Crossword Champ. Besides having a great design, the crossword solving app for Android gives you trophies for your accomplishments. You can share your scores with friends on Facebook and you’ll never forget a game thanks to the built-in reminders. 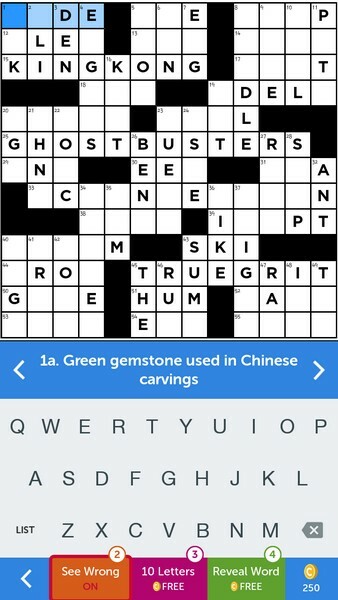 The free crossword tracker app also gives you limited options to show letters or the entire word whenever you’re stuck. You can also play puzzles from previous days and easily find them thanks to the built-in calendar. Crosswords is a great and calm way to keep your mind in shape. You also learn new words and have fun in the process. All of the above crossword solver apps are free, so you won’t have to deal with a refund if you don’t like the app you tried. Which game are you going to try first? Do let me know in the comments section below. Also, feel free to add any other crossword tracker app for Android if it’s not listed here. Next: How to Fix DNS_PROBE_FINISHED_BAD_CONFIG in Chrome?